At Speedcraft Nissan we highly value our customers’ satisfaction and safety and want to ensure you and your family are protected while driving your Nissan around Rhode Island. Saftey Recalls and regular software updates may be issued for a vehicle for a number of reasons. To check if your Nissan has an open recall, you will need your VIN. Follow this link and then enter your VIN when prompted. If you have an open recall on your Nissan, contact us ASAP so we can complete the work at no cost to you. 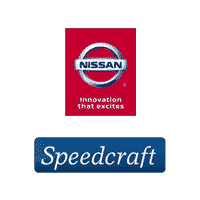 Speedcraft Nissan, Exit 8 off RT 95 in RI, committed to make the replacement of your vehicle’s batter as hassle-free as possible. We pride ourselves on giving all of our customers the best service and results in the Providence area. A safety recall occurs when Nissan releases an official notice to owners of vehicles found to be defective, or potentially defective. This safety recall notice from Nissan includes the plan for corrective action. The defects that result in an auto recall can range from a minor mechanical defect to major defects. Usually only a portion of the vehicles produced for the specific year, make, and model will be affected by the defect and recall. The NHTSA (National Highway Traffic Safety Administration) tracks vehicle failures and investigates accidents. When it is determined that a vehicle or motor vehicle’s equipment does not comply with a Federal Motor Vehicle safety standard, or when there is a safety related defect in the vehicle or equipment, a recall would be issued. Federal Motor Vehicle Safety standards set these minimum performance requirements for those parts of vehicles that most affect its safe operation that protect drivers and passengers from death or serious injury in the event of crash. These standards are applicable to all vehicles and vehicle related equipment manufactured. Will I be notified if my Nissan is affected by a recall? Once all relevant information has been gathered and the issuance of a recall has been decided, the consumers are notified. This is generally done in stages and may be subject to recall parts availability. What do I do if I received a Recall Notice for my Nissan? If you received notice that your vehicle may be affected by a recall, Contact Us and reach out to Speedcraft Nissan Service. Quick confirmation of your vehicles’ involvement, parts availability, and then we will schedule the corrective action for you. I feel like I may have a recall, but have not been notified? Please submit the Contact Us form, with your VIN, to inquire about your vehicles’ recall status; we will get back to you right away! You may also contact one of our professional service consultants. Please have your 17 digit vehicle identification number (VIN) available when placing this call.